He singled out Vladimir Putin as a driving force behind Russia’s “rise.” He championed “Putin’s great political machine,” and said, “Putinism is the ideology of the future,” outlining the Russian ambition to export Putin’s ideology across the globe. 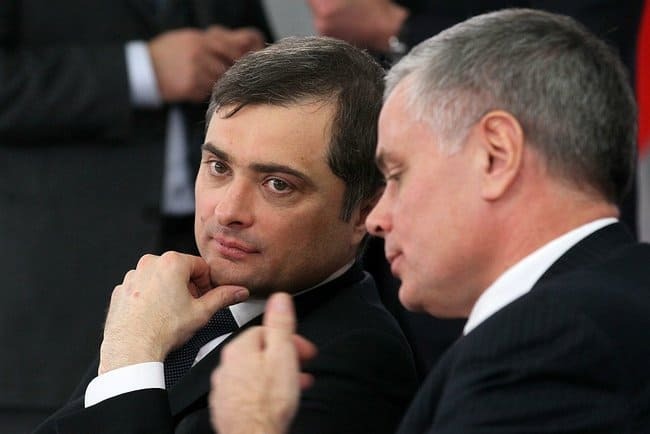 Surkov offered an explanation of recent Russian interference in Ukraine, Suria and Venezuela. “The great role assigned to our country in the history of the world does not allow us to leave the stage or keep silent among the crowd,” he wrote. “It does not promise peace,” he added. Russia has been far from silent. The Russian Federation stands accused of meddling the domestic politics of 27 countries since 2004. Its misinformation campaigns may have influenced the U.S. 2016 presidential election and the Brexit vote in the United Kingdom, as well as elections in France, Canada, Denmark, Italy, Norway, Spain, and Sweden, among others.